The Assembly of Members is composed of one representative from each ILSI Taiwan member company. The assembly holds the highest authority within ILSI Taiwan and is responsible for electing the Board of Directors and the Board of Supervisors, as well as providing financial oversight and support for all ILSI Taiwan activities. 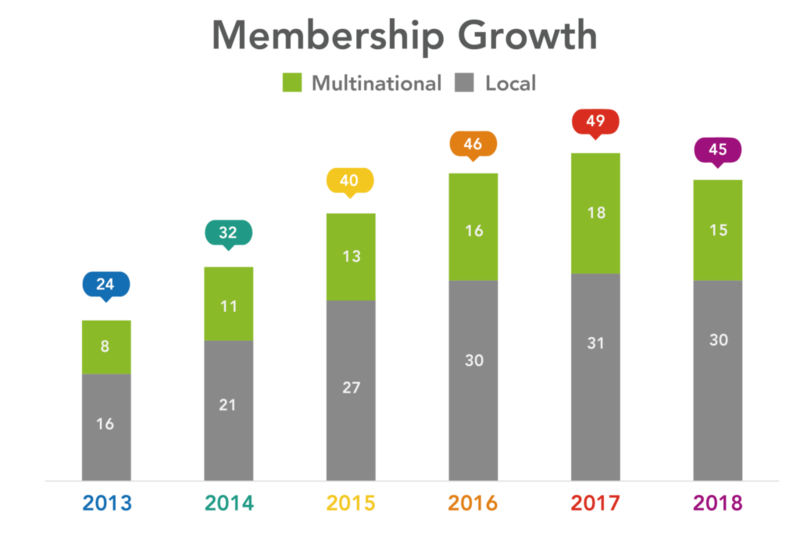 ILSI Taiwan is maintaining a steady growth in member number, with a 1:2 ratio of multinational and local companies and a scope of food/ nutrition/ pharma companies. As of May 2018, ILSI Taiwan has 45 member companies. Abbott Laboratories Services Corporation, Kuang Chuan Dairy Co., Ltd.
Allied Biotech Corp. McDonald’s Restaurants (Taiwan) Co., Ltd.
Chien Cheng Trading Co., Ltd. Namchow Holdings Co., Ltd.
China Grain Products Research & Nestle Taiwan Ltd.
Fresenius kabi Taiwan Ltd. Orient EuroPharma Co., Ltd.
Gemfort Corporation PepsiCo Foods Taiwan Co., Ltd.
Grape King Inc. Syngenta Taiwan Ltd.
Great Wall Enterprise Co., Ltd. Taiwan Chlorella Manufacturing Co., Ltd.
Herbalife Taiwan Inc., Taiwan Branch Toong Yeuan Enterprise Co., Ltd.
Want to learn more about becoming a member of ILSI Taiwan?